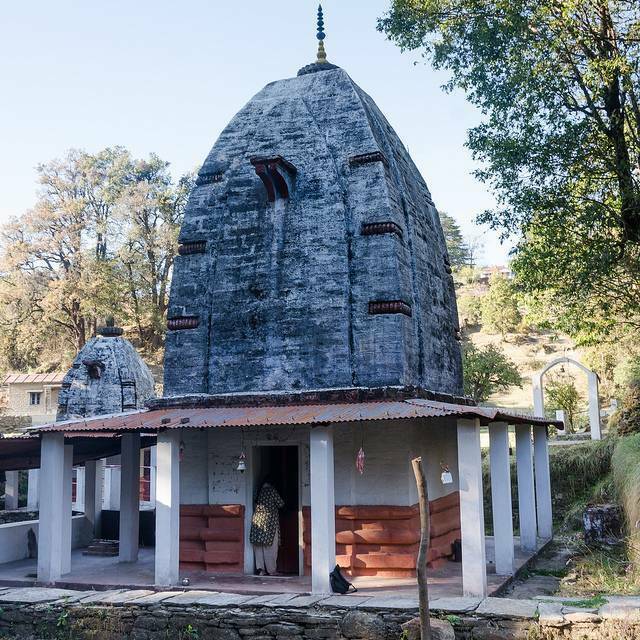 The Bineswar Mahadev Temple is eiight kilometers from Almora. Dedicated to Lord Shiva, the temple was built during the 16th century. The temple also has an ashram nearby, in which one can find very peaceful and tranquil atmosphere. Every year, in the month of June, on Vaikunth Chaturdashi and Kartik Purnima, a two day fest called, the Binsar Mela, is organized here. Crowds gather around the complex, smell the drifting incense under the pines and wander the grounds. From nearby, good views can be found out over the valleys.